We both love cars, Dad has had awesome cars ever since I can remember, my dream car when I was 3 years old was the yellow Oldsmobile Starfire my dad had sitting in our garage at the time. 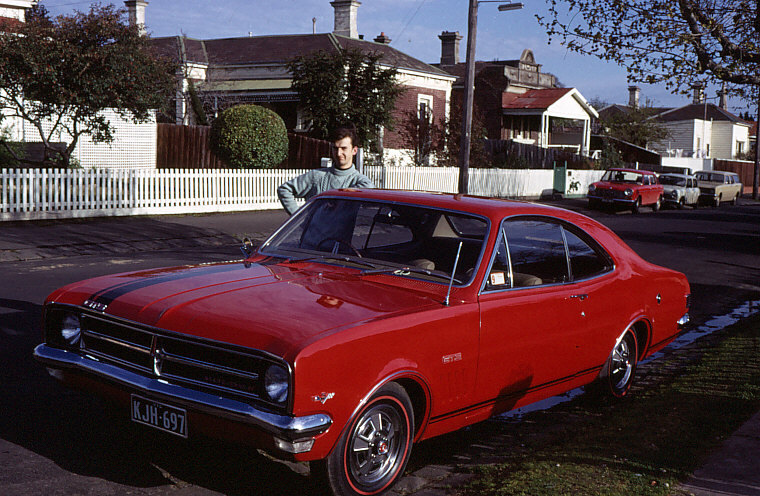 I would be here for a very long time if I went through the long list of cars Dad has had through out the years but the most relevant ones would be the 1969 Red HK GTS Monaro that Dad brought when he worked at Russell Burrows Holden in Box Hill, This car was a 307 manual and was nicknamed big red by dads best friend back in the day, Dad went on to purchase a 1972 HQ GTS Monaro in Shadow Mauve which was a 308 manual. As far as we know the HQ is still alive and kicking?? Maybe you know who has it??? 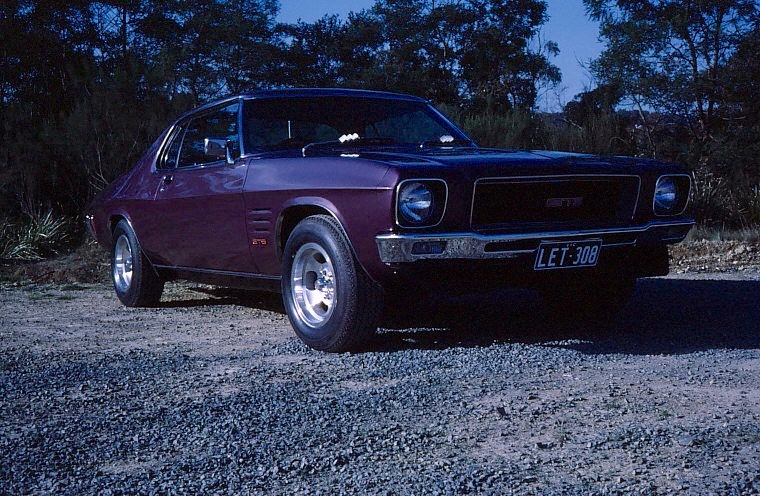 We were both very excited about the Monaro’s being released and we have both always liked to have one ever since they made it to the dealers, I remember a customer came into work with one and I had to go look at something on his car, I was just happy to be looking at a Monaro in it’s everyday life. 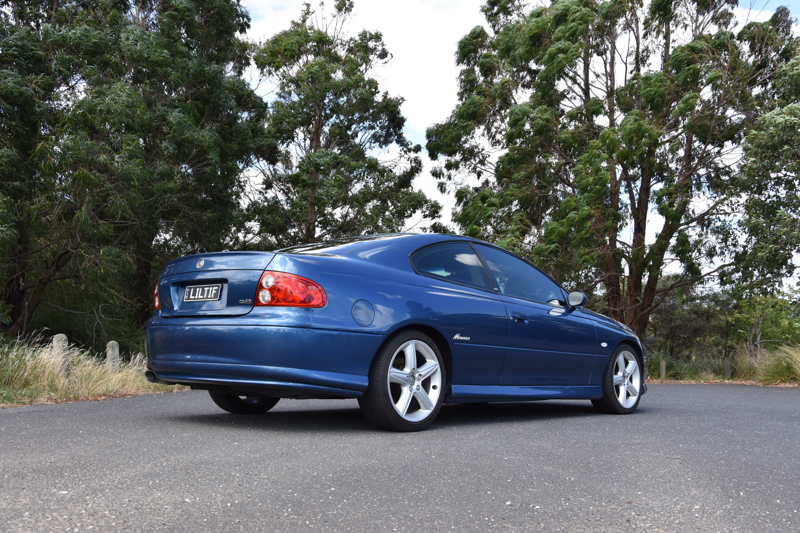 I purchased my 2002 Delph blue CV8 on the 31st of December 2016 from the original owner with 113,500kms on the clock, she purchased it brand new from Penfold Holden in Burwood for $67,000 and it was her pride and joy. She had it serviced on the dot and drove it as her everyday car. This beautiful lady was nice enough to give me everything that came with the car including the hexagon keyring, the original stereo and the red Monaro coffee table book that Holden sent to her. The car was so well maintained that it didn’t need to one single thing to be roadworthed. The car was completely original when I got it apart from the stereo, since I purchased, I have changed the engine cover, tinted the windows, put a DEA cat back exhaust on with straight pipes to the rear, put personalized plates on and changed one of the speaker covers. from a tiny dealer in Lang Lang, Dad’s 2002 Hot House green CV8 was originally purchased from Colin Watson Holden in Traralgon, The Little dealer in the main street of Lang Lang now know as Hitech Special Vehicles was actual a rural Holden dealer back in the day, the little dealer even had small spare parts department still there. The gentleman who sold Dad the car, actually owned the car before the previous owner, from what we know about the car it has always been owned by enthusiasts and has been tweeked but not overdone. The car has an accessory bonnet kit with the later model scoops, when the bonnet was painted and fitted the engine cover was also colour coded to the car, the car has a unique feel with a sunroof which has been fitted by prestige sunroofs which is where a lot of dealers sent cars for sunroofs that didn’t come with option from factory and also has black 18 inch rims and a Redback cat back exhaust with straight pipes to the rear.